Users can now respond to master rights conflicts directly in The Orchard Workstation to unlock royalties that may be held in escrow! What Are Master Rights Conflicts? Master rights conflicts occur at digital service providers when another rightsholder claims to have exclusive rights for a master sound recording in the same territories that The Orchard has claimed on a label’s behalf. 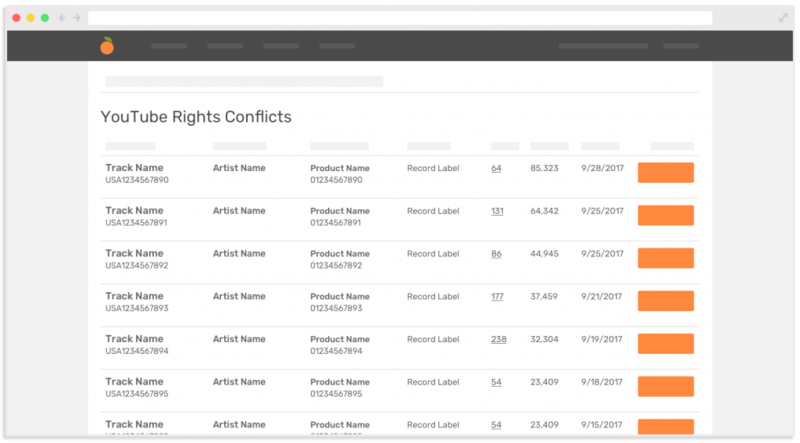 Currently supported by Conflict Manager are conflicts on master sound recordings delivered to YouTube for matching to user-generated content (UGC). Conflict Manager will eventually support master rights conflicts occurring at other service providers leveraging audio fingerprinting and at organizations that collect performance (neighbouring) rights royalties. The Orchard sends eligible sound recordings to YouTube and audio fingerprints are created by their Content ID system. YouTube scans its library of user-generated content and monetizes any videos that contain your sound recordings with advertisements. Finally, The Orchard collects the ad revenue generated by YouTube and pays our labels. If another rightsholder claims the exclusive rights for a master sound recording in the same territories that The Orchard claims on behalf of a label, then those territories go into conflict and any royalties generated are held in escrow by YouTube. Users will then see a new conflict appear in Conflict Manager. Users now have the opportunity to respond quickly to YouTube conflicts by indicating whether they have exclusive rights in each of the territories in conflict. If a label asserts exclusive rights in a set of territories and the conflicting owner releases their claim of the same territories, then the revenue held in escrow by YouTube will be unlocked and paid out by The Orchard. If both parties end up asserting their exclusive rights, then we will reach out to further mediate the conflict between the conflicting rightsholders. The Orchard’s dedicated Rights Management team will provide the necessary support throughout the entire process, sharing valuable insight and dealing with external service providers on behalf of our label partners. Conflict Manager is available now! Navigate to the new Conflicts page (via the Homepage or the Catalog page) and respond to each conflict so that we can resolve them as soon as possible.